The absence of enough information regarding the Philippine Navy's Strategic Sealift Vessel (SSV) has left the public blind on what we can expect on the ship's capabilities, features and aesthetics. But the recently released Supplemental Bid Bulletin (SBB) # 4 by the Department of National Defense (DND) has brought in enough relevant information on the project, as well as some hints of future procurement plans of the Armed Forces of the Philippines (AFP), to the point that we can now somehow see a clearer picture of what the SSV really is. The SSV is said to be smaller than the earlier MRV requirement, which was supposed to be awarded to a Korean manufacturer before based on the Makassar-class LPD. Surprisingly, the SSV's basic requirements are similar to the dimensions of PT PAL's SSV offer. This has been posted before in earlier MaxDefense blogs about this project. 1. 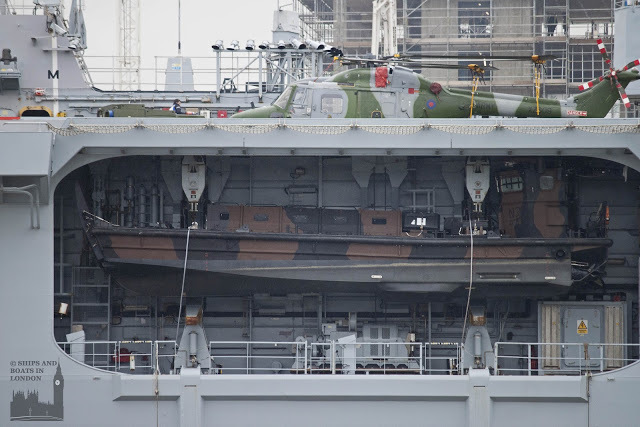 Presence of floodable wells and helicopter deck with hangar. These features, plus the general information of the ship's details listed above, confirms that the SSV is indeed a Landing Platform Dock (LPD), a small one though as compared to typical Western designs. Larsen and Toubro's query even included a clarification on the ship's type being labelled as an SSV when in fact the ship is an LPD. The dimensions indicate that it has similar dimensions as the Indonesian Navy's Makassar-class LPD, and surprisingly has almost the same details as the SSV offer made by PT PAL. But unlike the Makassar-class, the SSV will be smaller, lighter and may be simpler to reduce costs. Floodable wells, like this one, are present on the SSV. An indication that it is not just an ordinary ROPAX vessel as some believe. Photo taken from Australian Ministry of Defense website. 2. Use of Mild Steel per ASTM A131 for the hull. A query by Stone of David highlighted this and request considering the use of a more sturdier material for the hull, although the PN insisted on mild steel. Actually mild steel can be considered an excellent ship hull material due to its high strength, sufficient ductility and low cost. It retains some strength after yielding and before failure, which is a good characteristic for ship hulls. It is also lighter, giving the ship a better power to weight ratio for efficiency, while retaining the required strength as compared to other steel hull materials. 3. Inclusion of 2 Landing Crafts Mechanized/Utility (LCM/LCU) and 2 Rigid Hull Inflatable Boats (RHIB) per ship. The SSV program already included the provision of 2 steel-hulled LCU or LCM as well as 2 RHIBs that will be delivered together with each ship. This was unexpected although it is a welcome addition since it was assumed earlier that these boats will be bid-out separately and will require a different budget and program. Although this would also mean that the cost for these boats will be deducted from the budget allocated for the SSVs. 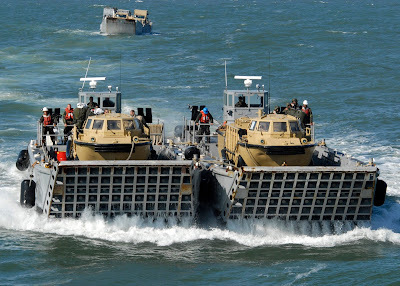 2 units of LCU or LCM, similar to those shown above, are included in each ship's cost and will be carried by the SSV. They must have a 25-ton load capacity and are steel-hulled. Photo taken from US Navy website. 4. Boat davit capacity of 15 tons while RHIB at full capacity is only around 4 tons. Several bidders like Stone of David, Larsen and Toubro, and Propmech highlighted the issue of having a boat davit with load capacity of 15 tons that will be holding the RHIB, probably because they believe this an over-design that relates to higher costs. Although the PN intends to place RHIBs on these davits, it is expected that the PN may also opt to fit the heavier LCVP in its place when necessary. Actually Stone of David's query already indicated the possibility of using the davits for LCVPs. The LCVP usually has an empty weight of around 9 to 9.5 tons and will require a higher capacity davit, on this case the PN insisted on a 15-ton capacity davit. MaxDefense believes that the PN would also embark LCVP on davits,like shown above mounted onboard HMS Ocean (L12), thus the requirement for 15-ton capacity. 5. Payload capacity of deck turntables at 25 tons. 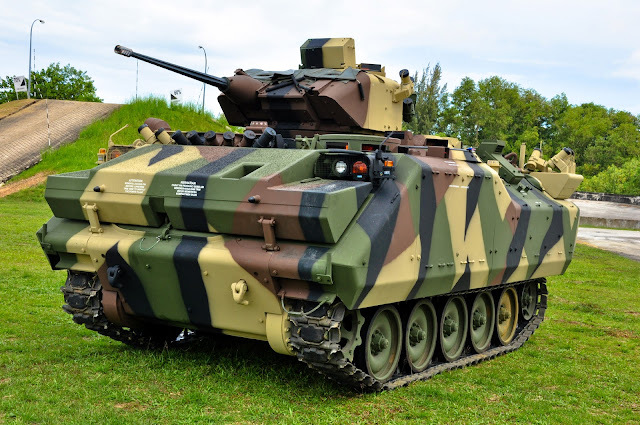 The turntable is required to be able to handle a 25-ton payload of around 7 meters long, which are probably armored vehicles from either the Philippine Marines (PMC) or Philippine Army (PA). Except for the PMC's few LVTH-6, the heaviest armored vehicles in both the PA (ACV-300) and PMC (V-300) only weigh around 14 tons. MaxDefense does not expect the incoming AAVs to use the turntables so it means that the SSV is built to accomodate larger and heavier armored vehicles should the PA or PMC acquire them in the future. A vehicle turntable similar but not exactly the same as above, with a diameter of 7 meters and load capacity of 25 tons, will be available at the truck deck for easy maneuver of vehicles on the tight space. Photo taken from Haynes-World blog. 6. Helicopter landing deck and hangar capacity requirement. 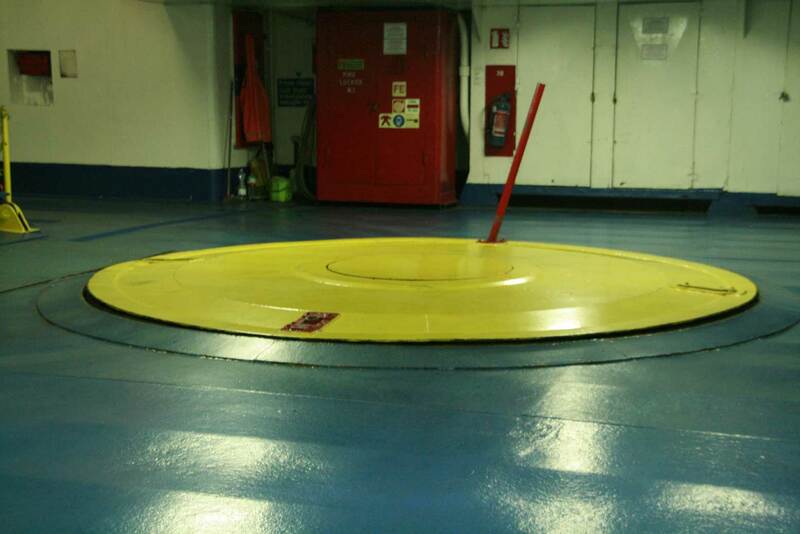 There is a requirement for the ship to have a helicopter landing deck for 2 helicopters, and a hangar capacity for 1 helicopter. 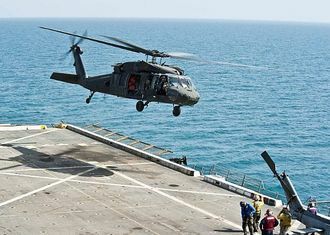 The replies provided by the DND/PN indicated that the helicopters are 10-ton types, with a specific mention of Sikorsky's Black Hawk helicopter. Although the Philippine Air Force (PAF) currently has a single S-70A Black Hawk in its fleet (Presidential Wing asset), it is expected that the ship will accommodate navalized PN helicopters more than standard PAF ones. MaxDefense believes that the PN may have plans to purchase Black Hawks in the future as part of its Desired Force Mix multi-purpose helicopter requirement, and the PAF may also do the same. The SSV takes the Black Hawk into consideration in its design, giving the helicopter a place in the PN's future. 7. 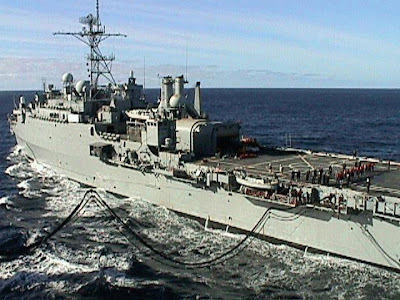 Replenishment as Sea (RAS) capable. The SSV will be RAS capable, with both port and starboard sides having RAS stations for easy replenishment. The PN's Gregorio del Pilar-class frigates are capable of RAS, but this capability is currently not available with the PN, although there are some indications that the PN is trying to acquire such capability, possibly by taking replenishment from allied naval vessels in the absence of PN replenishment vessels. There is also a possibility of the PN acquiring replenishment vessels in the future, as indicated in its Desired Force Mix white paper. A replenishment at sea (RAS) / underway replenishment (UNREP) capability is being sought for the SSV, similar to shown above. 8. Weapons and sensors systems costs are separate from the ship's budget. The SSB mentioned that the weapons and sensors systems will be "owner supplied", meaning it will be provided by the PN separately. This removes the cost of these systems from the SSV's budget, and good thing considering that these systems may cost as much as the budget allocated by the DND. With these separated, shipbuilders would now have more room to provide a better offer, and is beneficial to both the bidder and the end user. 9. Types of weapons and sensors for the ship. 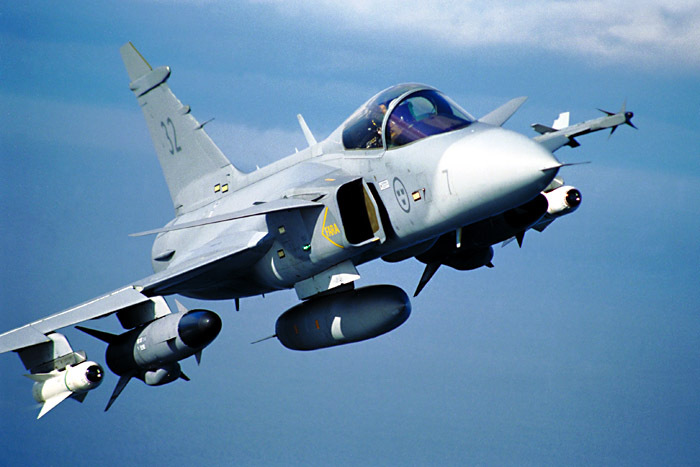 Sensor types mentioned in the SSB include a surveillance radar, an air search radar, electro-optical fire control system for the secondary guns, a Combat Management System, and an Electronic Warfare (EW) suite. The presence of an option to place an air search radar feature will enable the ship to detect and track airborne threats like aircraft and cruise missiles. The PN may employ similar radar systems that they intend to install on other future PN combat vessels like the new frigate. The EW suite is an added feature that would be beneficial as it gives an added defensive feature for the ship from OPFOR attacks. As for the weapons, the SBB mentioned the presence of 2 units 30mm guns, both remotely operated with electro-optical fire control system (EO-FCS). Although not mentioned, it may be safe to assume the presence of a larger primary weapon, probably a gun system with a higher caliber the secondary guns, somewhere between 40mm to 127mm. Also like other PN vessels, it is expected to have manually-operated 12.7mm machine guns for self-defense against small boats and minor threats. No mention was made regarding missile systems or anti-missile CIWS though. 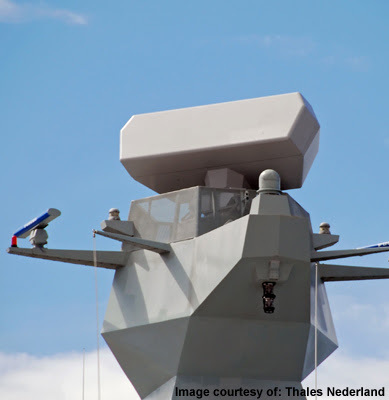 A 3D search radar, like the Thales Smart-S shown above, is not impossible to be mounted on the SSV. Photo taken from Thales Nederland website. Two secondary guns, similar to the Mk.38 Mod.2 shown above but with a 30mm gun, is eyed for each SSV. These would be remotely controlled, and linked to an electro-optical fire control system. 10. The SSV are configured as possible flagships. The SBB confirms the earlier press releases that the SSV will also serve as flagships and mobile government centers aside from being amphibious transport vessels. The supplemental bulletin acknowledge the presence of a Presidential Room as well as a War Room, which are instrumental for government functions including the presence of the President of the Philippines in cases of emergencies and needs that require him and other key government officials to be on the ship. The scheduled submission and opening of bids is on August 29, 2013, although there is still a possibility of moving it to a latter date similar to what happened to other DND projects. Until then, let us see who among the potential bidders could step forward and offer their services to the DND. Of the 9 potential contenders for the SSV project, only 2 submitted their bids: PT PAL Indonesia (builder of Banjarsamin-class) and Daewoo-Daesun of South Korea (builder of Makassar-class). But after further examination, the DND only qualified the bid of PT PAL, while Daewoo-Daesun was disqualified. It is still a hanging project as PT PAL needs to pass the post bid qualifications, which may start soon. More of the news here and here. The Philippine Navy has already provided the Notice of Award (NOA) for the SSV project to Indonesia's PT PAL after passing the post-bid qualifications and inspections. PT PAL itself confirmed receiving the NOA late last month, and is expecting the signing of contract to follow soon following these developments. It seems these two upcoming SSVs with be part of the 10 ships to be integrated with the Coast Watch System being implemented with Raytheon. The 10 ships indicated in the CWS requirement is an initial number, it could still go up in the future if the government decides to increase the number of ships capable of sharing information with the system. It was already indicated that the 2 Gregorio del Pilar-class frigates constitute the first 2 units. Let's just hope that these deals will go smoothly. As an archipelagic state, we need this kind of vessel to support the AFP operations. Likewise, it can also be use as floating hospital in times of natural calamities that often visit the couintry. , it is mandatory to have sealift capability. Likewise, this kind of ship can be utilize as a floating ship in times of calamities that often visit the country. Nice summary. In the MOPC night with the AFP CoS and service heads (as posted at Timawa), VADM Alano had confirmed that this is actually a two-stage bidding... something that was not actually announced (in the public releases, though). So the 1st stage could be opened tomorrow (29th). This is almost the envisioned MRV, except for a little draw down on the specs as well as removing the sensors, weapons and other ancillaries(such as mobile hospitals, AAVs, M35s) from the cost. Fitted-For-But-Not-With for now. What is the "little draw down on the specs" between the MRV project and this SSV acquisition project? Thanks! Thanks 49r, on the 2-stage bidding, it is actually expected since most of the bids done by the DND recently are 2-stages as well. The SSV is really the MRV, with the reductions made on the specs to fit with the reduced budget. My fear is on the PN's ability to secure funding for the additional items like the weapons and sensors. I do not worry on the AAVs since it was already given attention as a separate project. The mobile hospital can be easily secured because of its nature, even the civilian government agencies like PCSO and PAGCOR can make room for this. 1. Kulang yong P4 bilyon para ma kompleto ang proyektong ito dahil wala pang sensors at weapons suite na mahal. Pag nagastos yong P4 bilyon, potential SSV pa lang, hindi pa totoong SSV. Gagamitin muna siguro sensors/weapons ng PN na naka tago, or commercial equipment. 2. Hindi rin kasama yong gagamitin sa floodable aft well. Gagamitin na lang siguro yong present inventory ng LCM, LCVP, LVT, MPAC etc ng Navy. 3. Ang haba ng range kaya plano rin sigurong ipailalim sa mga US Navy operations na wala naman tayong nakatayang interes. Baka mapasubo pa nga tayo. Para sa akin pagsasayang pa rin ng DND at PN ng maliit na budget para sa ating depensang panlabas. Ang kakulangan ng Navy ang dapat punoan - wala tayong mga barkong matatawag na 'warship' na pwedeng pangsabak. Habang ang dami na pwedeng gamitin sa civilian sector na Ro-Ro, LCT, Passenger ships etc pag may emergency na. Saan tayo kukuha ng mga warships na pangsabak? Mag dedepende pa rin sa US Navy na iba namang interes sa atin? Pag mananatili tayong dependent, mawawala ang soberenya natin. Para sa akin, gamitin yang P4 bilyon na yan para sa mga warships, mga inayos na surplus para mas madaling dumating. At magplano na ng multi year acquisition of Philippine fabricated warships. Dagdag sa 2 frigates na hindi na aabotin ni PNoy ang pagdating after 2016. It is still unknown to us how the PN will secure funding for items that are part of the SSV but will be owner supplied. But for sure it would have its navigation and surface search radar by the time it is delivered. The LCU/LCM & RHIB will be delivered together with the SSV so there is something inside the floodable well deck. The expected ship's range is standard for similar-sized ships so it does not necessarily mean it would work under US Navy operations. The SSV is actually a very important investment by the government to the navy. It is the centerpiece of the AFP's plan to be able to deploy its soon-to-be formed Rapid Deployment Brigade in the future, which will be discussed by MaxDefense in future blogs. 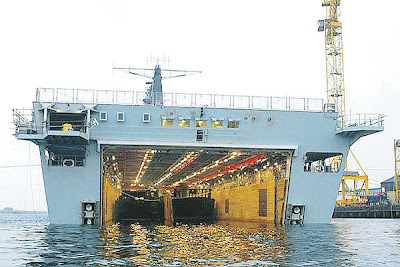 The ships are actually very important as well in moving the army and marines' heavy equipment since the PN's transport capability is now in its lowest from its peak in the late 1970s. No use arguing with him max, its misplaced patriotism. 1. Its a sealift, naval counterpart of the c130 herc. What the herc cant carry, the navy could and in huge payloads too. Sealift is critical in hauling that much people n material to places in need. 3.Use us on USN Ops? Why would they? Do they lack sealift capabilities? Basically too much emotion yet too little thinking. Libre tayo sa ating maling mga opinyon. Ito'y malayang palitan ng kuro kuro at kung talo huwag pumunta sa pagkukutya. Palagay ko trained ka sa kabilang forum. Kung may kunting isip ka unahin mo muna ang wala ka. Bakit ka pa bibili ng baboy kung may pansamantala kang mabibiling karne, para makabili ng gulok o riple na wala ka at mas kailangan. Pag nakapasok na ang kalaban sa lupain ng Pilipinas, guerilla warfare ang mas mainam hindi yong mga pormal na units na kailangan mo pang ilakbay. Ibig sabihin nandoon na sa lugar na inatake. Gustong gusto ng kalaban yang malalaki at mamahaling gamit at mas madali nilang tamaan. Basically wrong assumptions leading to wrong solutions. Mas kitid ng pagiisip. Pasensya na Max at kailangan ko lang sagutin. Ituloy mo lang mga good analysis mo at sana'y di ka madisturbo sa mga pumupunta sa pagkukutya ng kapwa pag hindi matanggap ang posisyon ng iba. Matagal ng napundohan ang SSV program na ito kung ang utak natin as masyadong negative wala tayong mararating na magandang proyekto. Kita mo naman wala pa nga ang resulta putak na agad tayo ng kung anu-ano. Matagal na rin ang pagtitiis ng PN para matuloy ang programang ito. SSV/MRV/LPD at kung ano pang tawag dyan sa barkong ito eh depende na kompanya at military planners natin. Kung ang ibang bansa ang proyekto naka codename pagdating sa barkong pandigma dito sa atin literal pang naiintindihan ng mga tao. Ang pagnanais at paghahangad ng PN ng ganitong programa ay gusto nilang magbigay ng mas malawak at malayo ang mararating ng serbisyong hatid ng barkong ito. Kaya nga kung tanong mo bakit masyadong malayo ang range ng barkong yan? Eh angkop lang yan sa bansa nating watak-watak. Ilang bagyo at trahedya na ba ang nagdaan sa bansa natin kung saan isolated ang mga lugar dahil walang madaanan at tanging barko lang ang pwedeng maghatid ng tulong agad. Halos tali ang kamay ng PN dahil limitado ang barkong meron sila na maghatid ng mga serbisyo at tulong sa oras ng kalamidad. Meron barko pero kaya ba suongin ang mga alon na di mo akalain na dulot ng bagyo o masamang panahon. Kadalasang napapabalita tayo mismo ang nakikiusap sa ibang bansa na magpadala sila dito ng barkong may kahalintulad ng capabilidad. Diba mas nakakahiya? (nakiki usap tayo sa Amerika, Japan, Indonesia, Malaysia at Singapore). kung paulit-ulit na lang ang sitwasyon natin. Pero kung di natin nakikita ang malaking aspeto sa pagkakaroon ng ganitong barko paano na lang tayo makapag responde ng mabilis sa oras ng calamidad? Paano na lang ang Pilipinas kung kitid ng utak ang uunahin natin. Basic services ang hatid nito. Daan at libong tao ang pwede nitong matulongan sa oras ng pangagailangan. Sa pag convert lamang ng malinis na tubig, serbisyong medical, paghahatid ng paunang tulong, general command and control pag may calamidad at presenya ng gobyerno natin. Double edge sword ang barko na ito. Wala mang armas na nakakasindak pero buhay ang sinasalba nito sa oras ng kalamidad. at kung gagamitin naman sa oras ng digmaan mobility at force mutiplier ito. "Pag nakapasok na ang kalaban sa lupain ng Pilipinas, guerilla warfare ang mas mainam hindi yong mga pormal na units na kailangan mo pang ilakbay. Ibig sabihin nandoon na sa lugar na inatake. Gustong gusto ng kalaban yang malalaki at mamahaling gamit at mas madali nilang tamaan. --Basically wrong assumptions leading to wrong solutions. Mas kitid ng pagiisip." like i said its sealift, counterpart of airlift. And now that you mentioned it, imagine guerilla warfare on pag-asa island. Sa Pag-asa, 30 corvettes covered by 3 squadrons of fighters and SAM, SSM batteries covering the West Philippine Sea ang kailangang minimal defense. Pati na rin syempre fortifications sa Pag-asa at ATGM's, Manpad's etc. Wala tayo mga iyan dahil inuuna ang mga meron na namang alternatives tulad ng mga commercial RoRo, LCT, passenger ships atc; at hindi inuuna ang wala tayo, mga SHOOTERS. Kaya balik tayo sa tapang ng Pilipino na kayang magsakripisyo, pero bigyan natin sila ng mga SHOOTERS. Napupunta ka kasi sa mentalidad ng mga ayaw magsakripisyo, gamitin na lang ang pera at teknolohiya, habang nakatago sa bunker na may joystick para lumaban. Medyo malas pa tayo ngayon at kulang ang ating pera dahil hindi ang Pilipino ang nakikinabang sa Pilipinas. Pero mas maswerte tayo dahil marami pang sangganong Pilipino na matatapang. Yan ang lakas natin na dapat palakasin at gamitin. hahah,,,i laughed about GUERRILLA WARFARE IN PAG-ASA ISLAND!!! Mali intindi mo. In general yon. WOW! 30 corvettes, 3 squadrons of yada yada yada. Wheres "guerilla warfare" on this? Reconsidering what you "thought" is supposed to be? --"Basically wrong assumptions leading to wrong solutions. Mas kitid ng pagiisip." Yeah id like "shooters" too. Isnt the navy doing anything about it? wait...they will bid out 2. Ohhh so they are doing something about it. Well i just have to wait for the supplemental bulletin (if ever they would release it) before i rant. I just learned guerilla warfare is best so PN better be ready rebutting my strategy. 30 is a magic number, blind melon is wrong. You shouldve stucked it out with guerilla warfare, at least youd be more fun. Regarding the bow thruster - From what I understand it was an "as per design feature" meaning it was dependent on the design provided and not a "fitted for but not equipped with" situation. The query by Stone of David appears to point that there is no provision for bow thrusters, and the PN prefers to have provisions for it. Although the bidder, if chosen, may have the priority to provide the bow thrusters due to integration of their bow thruster design on the ship. Big, slow, no anti-missile defense and no ASW weapons, in few words: is a sitting duck. At least upgrade the 30mm guns to Goalkeeper CIWS or install soft-kill countermeasures. Let's see first if there is really no provision for anti-missile CIWS, since all the weapons systems will be procured separately from the ship hull's budget. CIWS or soft-kill countermeasures can be the difference between life and death for at least 600 pinoy. They remember mention machineguns but don't mention CIWS or soft-kill? @ Mareo2 just like the 2 WHEC that PN acquired, DND/PN still has not come to realize the importance of CIWS and ASW. to put it in simpler terms all the PN ship so far are just a big bulls-eyes target for OPFOR ship. and by the way I don't see the importance having an LPD ship, LPD is usually use for invasion, who is the PH going to invade? PH does not even have MBT all it has are APC, I don't see the logic of PN buying an LPD at this time maybe in the future. if their reason is the LPD going to use to bring relief goods during times of calamity then they should just purchase a real SSV not an LPD, DND procurement people does know how to prioritize item that are really needed. they are too ambitious in procuring items on a limited budget. it's important for PN to have LPD as an achipelagic country to embark/debark and rolling your troops/PAF to the outer islands efficient and effective way for surveillance your border with other country and guard your small outer/remote islands which are close enough with other country or close with international sea/water, regarding to the huge payload that LPD can carry mean while PN can conducts, prepare and arrange the budget to acquaire of full armament combatant ship, fighter jet, etc to modernise military equipment. "LPD is usually use for invasion, who is the PH going to invade"
If the PLA invade one or more of the outer islands, deploying small garrisons of infantry with land based anti-ship missiles, how pinoy get them back? Hi mareo2, so far there is an indication of a soft-kill EW system, if the PN could get a hard-kill system based on its primary gun, for example the Oto Melara 76mm with Strales, that would be good. No indication yet though if thet's the case, or if a CIWS is included. Let's wait for further announcements. @ mareo2 to answer your question of "how pinoy get them back" there's a simple answer to that, pinoy will ask the US to assist us in getting back the island, and with LPD specs that PH is acquiring no CIWS and counter-measures. it will just be a big target for the land based ASM. "pinoy will ask the US to assist us in getting back the island"
I seems that the Aquino administration is not only unwilling to expend enough money on the defense of their country but also unwilling to do the sacrifices that require give more than enough incentives to the US and their allies for go to war with the PRC in defense of Philippines sovereignty. "...Facing increasing Chinese assertiveness in disputed waters and understanding that the Philippine Armed Forces are completely incapable of deterring the PLA, Philippine President Benigno Aquino recognizes that Manila's alliance with the United States is its only strategic asset. Yet, to date, he has been unwilling to wager the required domestic political capital to make the case that an increased U.S. military presence is in the Philippine national interest..."
"...For the Philippines, a regular, overt U.S. presence would help deter potential Chinese threats to its sovereignty and make U.S. alliance responsibilities far more real. As it stands now, Beijing is skeptical of the seriousness with which the United States takes its alliance commitments vis-à-vis the Philippines—the United States putting skin in the game by funding infrastructure improvements to facilitate a more regular presence would change these assumptions..."
"...Despite the Philippines facing significant, immediate threats (unlike Singapore and Australia) and having an exceptionally weak military (unlike Singapore and Australia), senior members of the Aquino administration have shown little willingness to work expediently toward a mutually agreeable framework like those the Pentagon reached with Singapore and Australia. Instead, Aquino's feet have just been stuck in the mud, unwilling to work to move past the political legacy that forced the United States to close its bases in the Philippines in the early 1990s..."
@mareo2 I have read this article before, but US-PH framework agreement is getting some steam with 1st round of talk completed 2 weeks ago and the 2nd round of talk currently being held in Washington. according to some rumor US is indeed getting impatient with slow progress of talks regarding temporary rotational presence of US troops and equipment here, that's why DOD Sec. Chuck Hagel has visited PH today to find out the seriousness of Aquino Administration on the US-PH Defense Framework Agreement. And BTW I rest my cased regarding the importance of LPD anyway DND/PN already has awarded PT Pal Indonesia for the SSV/LPD so there's no point of stating my case anymore. Hi mareo2, those posted on the editorial are of course the viewpoint of the Americans. There is also another viewpoint, which is the Filipino side, which usually questions the American sincerity in truly assisting the Philippines. There are concerns that instead of uparming the AFP, it might just get surveillance gear but the US may not support it getting offensive weapons like anti-ship missiles and MRFs. they dont trust phil. politicians and communist minded filipino that maybe someday will replace the leadership and turn against them. This is something far fetched, with the communist movement communist political fronts support from the public at all time low, it won't happen. Of all countries in Asia, the Philippines is the least expected country to go against the US, and even the Americans know about it. High tensile steel, especially those with hardened plates are very expensive, I believe even the Makassar-class doesn't use this. The compromise can be on the proper control of damage and water once the hull is breached. I believe there is a portion of the SSB indicating that the ship must remain stable even if 2 compartments are breached but contained. Sir Max the problem why would not give us those high technolgy defense equipment is because of our security issue and coup de tat history because we have only one academy as source of leadership for DND and AFP and IF think you know that and some issues that ammos being sold to our enemy. So what do you think? All right we've had enough of this delay. This approval to buy this two Strategic Sealift Vessels (SSV). Means now!! Its long been approved that's why its being tendered for bidding. What we are just waiting now is who will build the ship. I guess this is where the rubber meets the road . It's time to decide who's the builder . The PN & DND has established their basic requirements for their SSV project now its time to go to the next phase. Once they have started on the ships hull then , they can prioritize their intended list of equipments like sensors,communication defensive weapons and delivery system . So far , the PN & DND are on the right direction on their goal just need to step up the process . This procurement is already long overdue . Let's see what happens today, August 29th. So basically, the Philippines are looking more in the lines of the Endurance class LPD or Makassar-class LPD. The others including the San Antonio class LPD are way above their price range and they can't afford it. There aren't even American or European shipbuilders who gave interest on this project, so definitely the San Antonio class is out. Actually there is a big point in the acquisition of the LPD (SSV) and not prioritizing to get an interim real frigate. What the Phils need right now are assets to assert sovereignty over our EEZ and secure our fishery resources. Still, it seems that there is no state of urgency for our planners to address the threats on our 3 fronts. The budget for the 2 SSVs may fit for the acquisition of a 2nd hand frigate. Having a real frigate for now will give ample time for our sailors to train in handling modern weapons and sensors and make them ready for the light frigates that are still in the pipeline. Imo, the SSVs will be spending much of its time in ports waiting for troops deployment or worse waiting for another batch of repatriation of undocumented filipinos in Sabah. On tthe other hand, a capable frigate can spend much of its time in conduct of patrols in wps and at the same time train our men in otht warfare. The problem with the PN is that they have many requirements that need to be filled, like naval transport and amphibious warfare capabilities. So while the PN goes for 2 new frigates and more used ships from the US, it is also embarking on ways to fill its transport capabilities. It has already reduced the cost from Php 10 billion to Php 4 billion for 2 ships to give way for more funding for the frigates. Let's see if the government will try to allocate more funds besides the Php 75 billion modernization fund between 2014 and 2016.
couldn't agree more, I share the same sentiment on why is PN is rushing to purchase SSV/LPD. as stated above surely the SSV/LPD will spend most of its time in its home port not just waiting for troop deployment but waiting for transporting relief goods in times of calamity. The LPD can also become an ambassador of the Philippines to other countries, moving around the region while training PN crew similar to how the Singapore Navy operates their Endurance-class LPDs during peacetime. It can even be used in anti-piracy operations if necessary. The SSVs on the date of delivery will just like be a civilian ro-ro having without weapons and sensors. 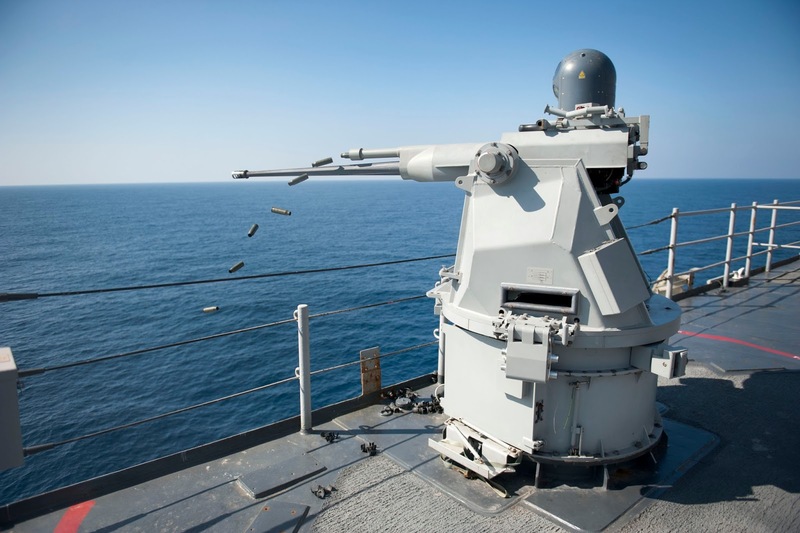 It cannot provide a leap frog for the navy to handle and manipulate modern weapons like CIWS, modern sensors like air search radars and sonars. The SSV's are not really meant to have all the weapons and sensors of a surface combatant, but there are indications that the PN will provide the SSV will some systems mostly for defensive purposes. It is not yet clear if who will install these systems, or if these systems will be installed by the time the ships are delivered. Seven of nine bidders withdrew, Daewoo/Dae Sun and PT PAL submitted, Daewoo/Dae Sun disqualified. apparently, 2 bidders were left and daesun was dropped (but will file mor). So what can you say about the bidding max? do you think we will have a rebid? the issues raised by SOD is valid. It's actually a bad news, from my point of view. If Daewoo-Daesun is permanently disqualified it means PT PAL has to meet all requirements. If it does not, then this becomes a failed bid. Here are the published specs from PT PAl current LPD platform. The only discrepancy I can tell is when it comes to the " Max Embarcation "which is 344 including crew and troops . The PN specified requirement is at "least 500 troops". Does it mean the total of numbers of passengers ? Will this disqualify them from the bid or can the PN & DND including the manufacture work around this requirement ? What is your take on this Max. This design is another derivative of the original design used in the Makassar-class. 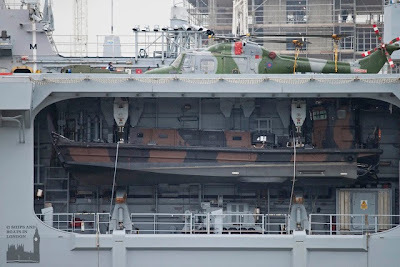 The PN requirement for flight deck is only for 2 helicopters, so PT PAL can shorten the flight deck in favor of a larger superstructure to accommodate more troops. The range is also larger than the PN requirement, so PT PAL can reduce the fuel tanks as well. So we got it at P3,863,999,520 or $45 million per ship. not bad considering they'll come with LCUs and RHIBs. Congratulations, you're country will surely be proud to have the opportunity to export large warships like this. Greeting for all pinoy and pinay from Indonesia. The developments point to a failure of bidding if the Indonesian design is not accepted as the 'at least 500' requirement is way beyond the 344 capability. It could then pave the way for the DND and the Navy to study my alternative proposal of acquiring more Hamilton class WHEC's to convert into Multi Purpose Support Vessel, based on the concept of the Absalon Command and Support Ship of Denmark. With the present negotiations for more U.S. bases in the Philippines, it can put us higher in the line up for buyers of the Hamilton class WHEC's. The Hamilton class WHEC's as Multi Purpose Support Vessels will also address the need for more deterrence power as it has its own 76mm Oto Melara and sensors already. The possible P2 billion savings can then be used to uparm PF-15 and PF-16 into frigate capabilities. The proposal can be found in http://deftechph.blogspot.com/2013/08/hamilton-class-as-multi-purpose-support.html. As one poster has said, the 2 SSV's funded for P4 billion will be sitting ducks in the open seas, and another poster said that these P4 billion investment will most of the time be staying in the pier, not adding to the naval deterrence of the country. Another poster says to scrap it altogether and buy surplus warships instead. I think the proposal of Hamilton class WHEC's as Multi Purpose Support Vessels can be the appropriate middle solution. You can have additional lift capacity and at the same time have an additional 5 warships for naval deterrence. As to humanitarian missions, we already have the Ang Pangulo as an appropriate platform, maybe even for a flagship. If the calamity is a big one, we have the 2 LSV's and if we really need such a big lift requirement, the government can rent/commandeer the many commercial vessels we have. Even the rich UK had to do that during the Falklands War. - an alternative to your solution are aircraft like C-130, which is currently used by the military as a fast troop transport. The SSV won't necessarily be sitting ducks because they are armed and have the necessary systems installed as indicated in the SBB, and if there is precious cargo it would likely be escorted by armed vessels. If the full capability of the SSV is done, it would even have better sensors and weapons suite than what is currently in the Gregorio del Pilar-class frigates that the PN have. There more ways than one why we need the SSV's . As stated by Max & some contributors we are an archipelago with several thousand islands . We are surrounded by 2 vast sea lanes Western philippine sea ( China sea ) and Philippine sea . Majority of these major islands have ports but only few can accommodate big ships with a lot of cargo. This is where the LPD comes into play. They can launch men & equipments just beyond the horizon on semi rough seas via the well deck thru the LCM or AAV's . For a faster deployment they can use helo's thru the aviation deck. These are vital assets during typhoon seasons where places are hard to reach. In the military point of view Rapid Deployment assets are vital that at any given time you have the capacity to deploy your forces at a moment notice with greater flexibility . This would better suit the PMC current needs. To better paint a big picture the " Kalaayan Islands that the Philippines are occupying doesn't even have a decent port or pier only an airfield not even long enough to accommodate C130 cargo planes. My friends these are the reasons why. If these ships are smaller than the Makassar class, why does it cost more? Please cite your source as to where you saw the numbers. If you are referring to the amount that was paid to Daesun, the amount was for two (2) MRV plus Technology transferr/license to build two (2) more MRV. So you cannot simply divide the amount that Indonesia paid to Daesun as that was actually for 2 MRV plus the Technology Transfer. The additional 2 MRV that PT PAL made in Indonesia was paid separately by Indonesian government and was not included on the payment given to Daesun. Good question. does anyone know why? Because the price for the Makassar was almost a decade ago, so consider inflation and cost increases. Also, PT PAL is a state owned company so profit may be marginal for the TNI-AL's ships as compared to those for non-Indonesian government clients. do we have technology transfer also here in the bid? Daewoo International Corp, a major Korean trading company, announced 21 December 2004 that it had signed a $150-million contract to provide four warships to the Indonesian navy in what is viewed as a major step in boosting its presence in the naval technology business in Southeast Asian countries. The latest vessel is said to have cost around $30 million. KRI 592 Banjarmasin is able to load more helicopters, from three to five helicopters. In addition, the ship speed is also higher than the South Korean-made warships, namely from 15 knots to 15.4 knots. As I was suspecting, the good-as-approved or approved in principle was just over-eagerness. There is still no contract signing for FA-50 even with the KAI top honcho in town. Anyway, I got my inside info on this as well why its dragging along so slow. :( oh well, cant blame the military for trying. defense department should look in the the zero zero ejection seat in the fa-50 coz all crash of the t-50 pilot not eble to eject which result of their death. report say chute deploy but the seat with pilot remain inside the the cockpit. China is starting to drop concrete blocks in Bajo de Masinloc! I'm 100% sure they are already donep lanning on building a garrison there. We should buy this ship now, send it there, and let the people there pick up all those concrete blocks for our own use, or better yet, hide building materials inside those strategic sea lift and then drop it there at start fortifying the place. It's so near mainland Zambales. We should never allow China to build anything there. but what do we expect from our incompetent leaders. whose thinking is not concerned about the country's defense priorities but their pockets and families and businesses. Hi Ricky. LPD's are incapable of medium to high intensity surface & ASW combat. A balance between small and large surface and subsurface combatants, and transports, auxiliaries is the best route. Let the LPDs be used for its original purpose, which is to transport troops and equipment. just build a base off mindanao then you would save on these landing platforms. we need attack helicopters, patrol boats. insertion helicopters. tanks. LPD's are mobile. How would these bases pick-up the tanks and troops from where they are? How would they land on the conflict area? Sir Max baka malaki bagay makuha eto kaysa bibili bago. The Dutch JSS Multi-Purpose Support Ship: For Sale? The two SSV has a budget of $90M. The yet to-be-completed Dutch Joint Support Ship will cost $485M!! That's even more than our budget for two light frigates/heavy corvettes. NL wont be selling those ship for a bargain. As of now, not yet. Post bid qualifications is still ongoing. HI Max, any development on the SSV, FA 50, Attack Copter , Motion Simulator, Air Surveillance Radar, UH1H, and M113 Acquisition, RPG 7, 81mm mortar, Assault Rifle with optics projects? Hey max so does this mean each ship can operate 3 helos at once? pt pal get the deal. congrats! does these ships include simba mistrals? Needs 127 Millimeter / Five inch gun on the foredeck so that the 500 PHILIPPINE MARINES carried on board can be given Naval Gunfire Support for Amphibious Landings. Medyo mabagal yung speed na 13 knots cruising lalo na kung isa sa main purpose nito is to send relief goods to disaster affected areas. If the ship meets waves carrying strength of about 4 knots, magiging 9 knots nalang ang cruising speed ng ship which is equivalent to only 16 km per hour. Ok pa rin yung present requirement nya of only 13 knots cruising speed kung parati tayong hindi nagmamadali pero kung nagmamadali na tayo magiging sakit ng ulo yan in the future. But i think we have planners with brilliant minds in the AFP at naisip cguro nila that we will be having enough number of C-130's in the future that can quickly supply any disaster affected areas with their needed relief goods. The Philippine Navy is growing stronger and i won't be surprised if the Philippines will soon be having an Attack Submarine Fleet. Let us all be patient. It will soon come. Keep up the good work. its a great ship. i hope i can see by my eyes.